Welcome to the Pick of The Week podcast once again everybody. It’s been yet another slow week for comics as I’m sure you were all aware. We had a small technical problem on Tuesday morning, but we’re here for you now with our weekly podcast! Simon has the POW, and is joined by Sheldon and Rob. Listen in to find out stuff like why Rob loves S.H.I.E.L.D so much. Find out why the guys are not feeling the love for DC Comics as much these days, and what the guys think about Baron Zemo cropping up in a couple of their Marvel comics these past few weeks. 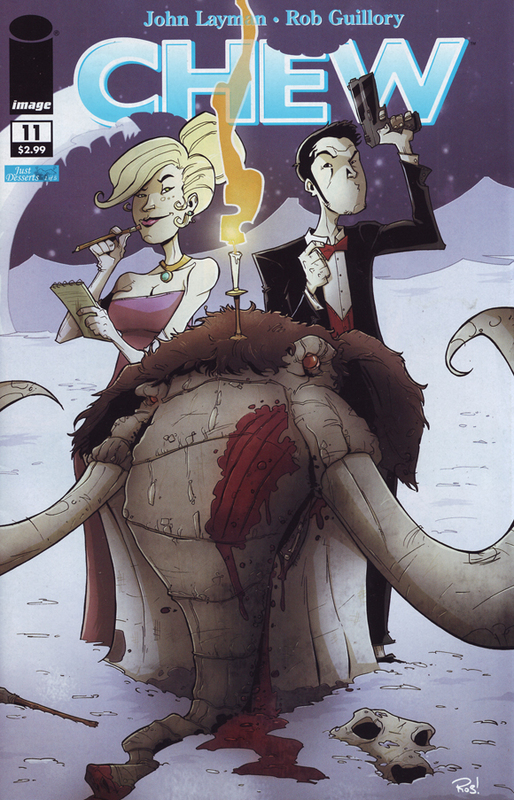 Simon’s Pick of the Week is Chew #11. Also discussed in this podcast are Captain America #606, Batman #700, S.H.I.E.L.D #2, Hack/Slash: My First Maniac #1, Uncanny X-Men #525 and Invincible Iron Man #27.